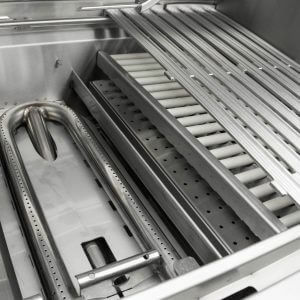 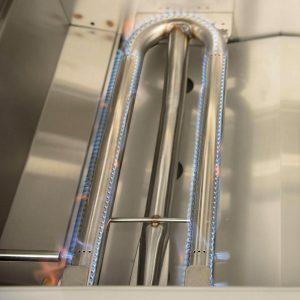 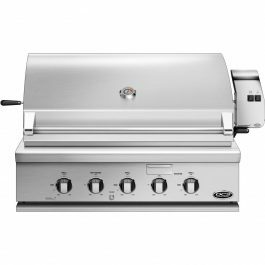 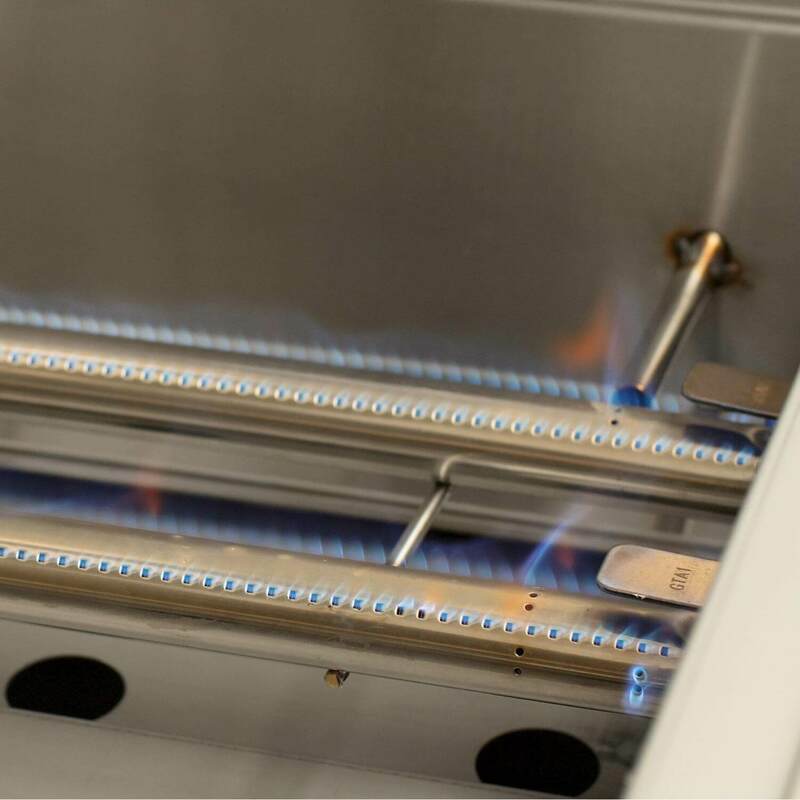 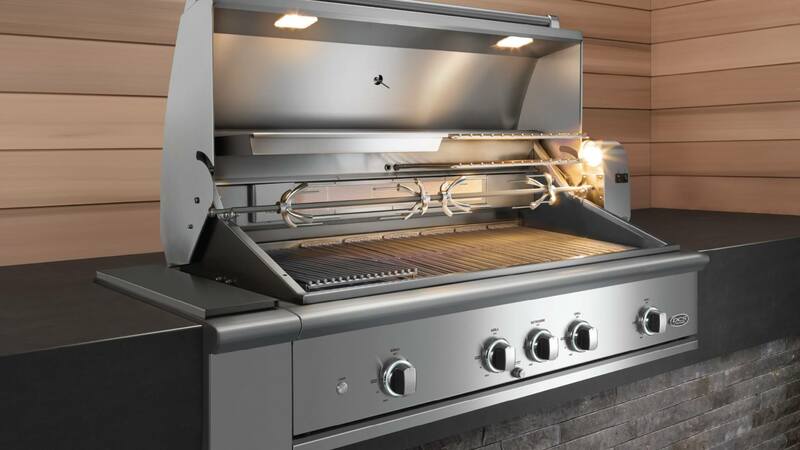 This 36-inch natural gas built-in grill features three 25,000 BTU U-shaped stainless steel burners that push an impressive total of 75,000 BTUs of cooking power. FREE LOCAL PICKUP: Ready to ship in 2-3 business days. 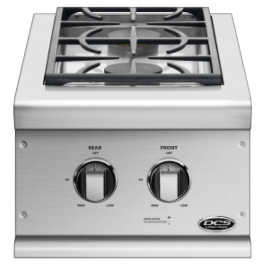 DCS grills are engineered for people who want to cook just like a professional chef in their own home. 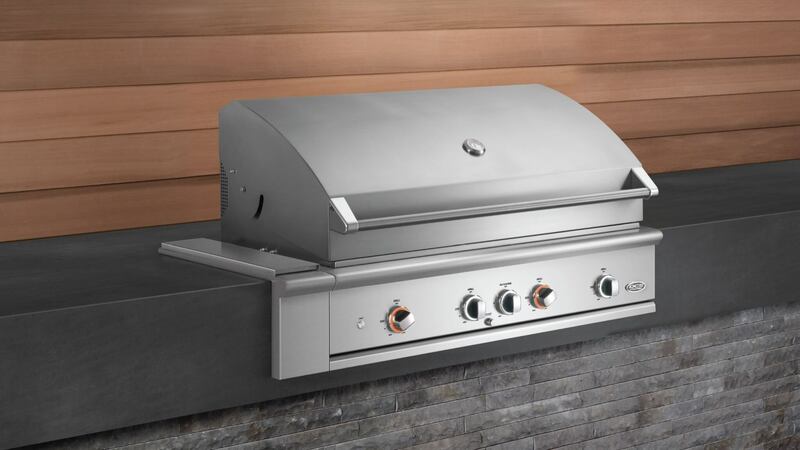 This 36-inch natural gas built-in grill features three 25,000 BTU U-shaped stainless steel burners that push an impressive total of 75,000 BTUs of cooking power. 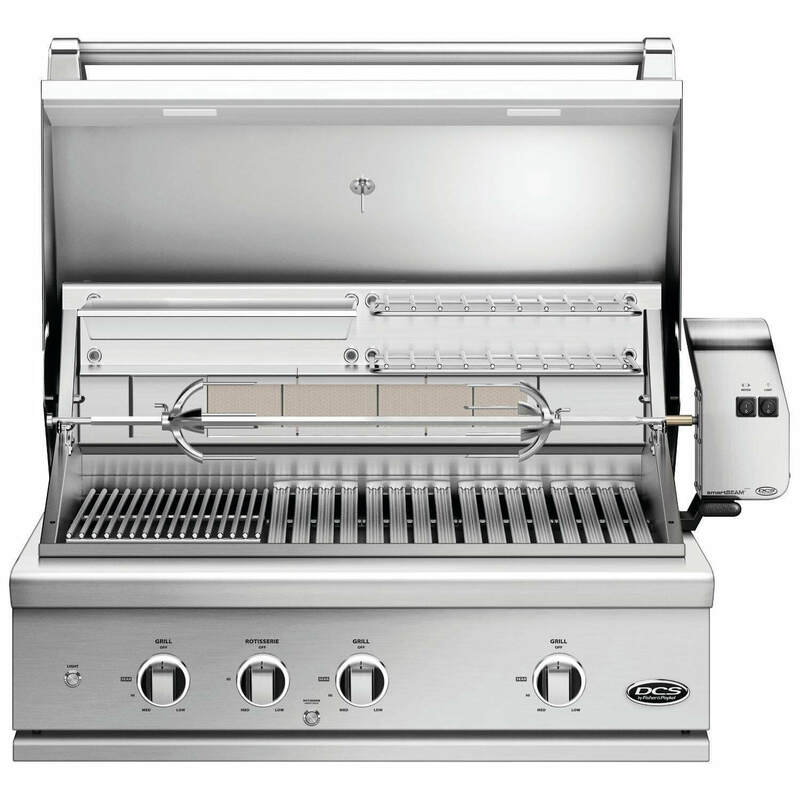 Each burner features a heat shield that directs heat upwards, maximizing grilling efficiency. 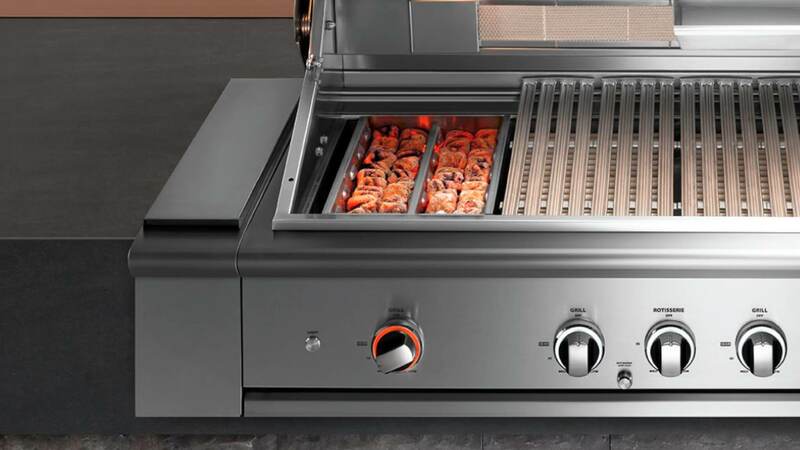 DCS grills offer Ceramic Radiant Technology, which is a layer of ceramic rods placed between the burners and cooking grate. The rods provide intense, yet even heat, ensuring the temperature is consistent across the entire grilling surface. 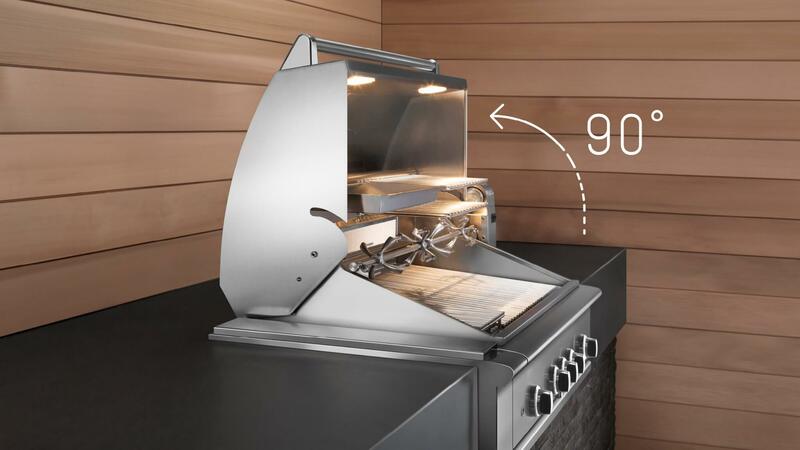 This innovative feature allows you to sear meat to perfection anywhere on the cooking grid. 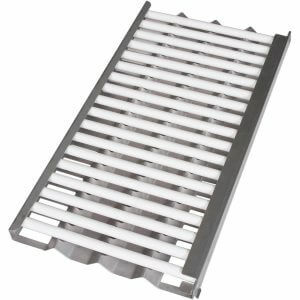 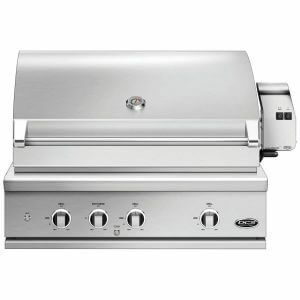 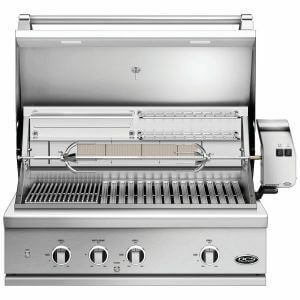 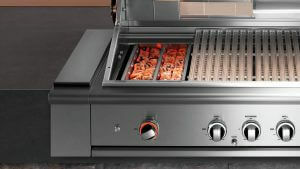 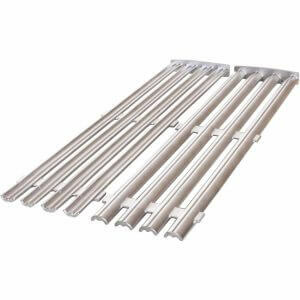 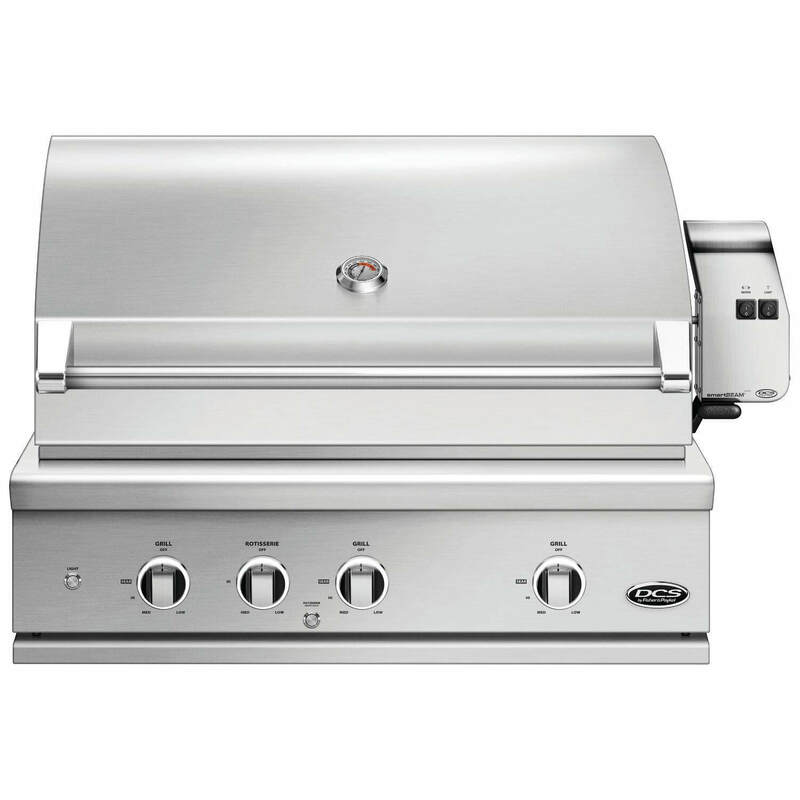 This grill boasts a 638 square inch main cooking surface with durable, double-sided cast stainless steel cooking grids. One side has a gentle curve which supports and handles fish and vegetables. The other side of the grates accommodates steaks and other cuts of meat, capturing grease while creating perfect sear lines. DCS BE1 grills feature a wider range of cooking temperatures with valves that can be turned down to as low as 300 degrees at the grilling surface. 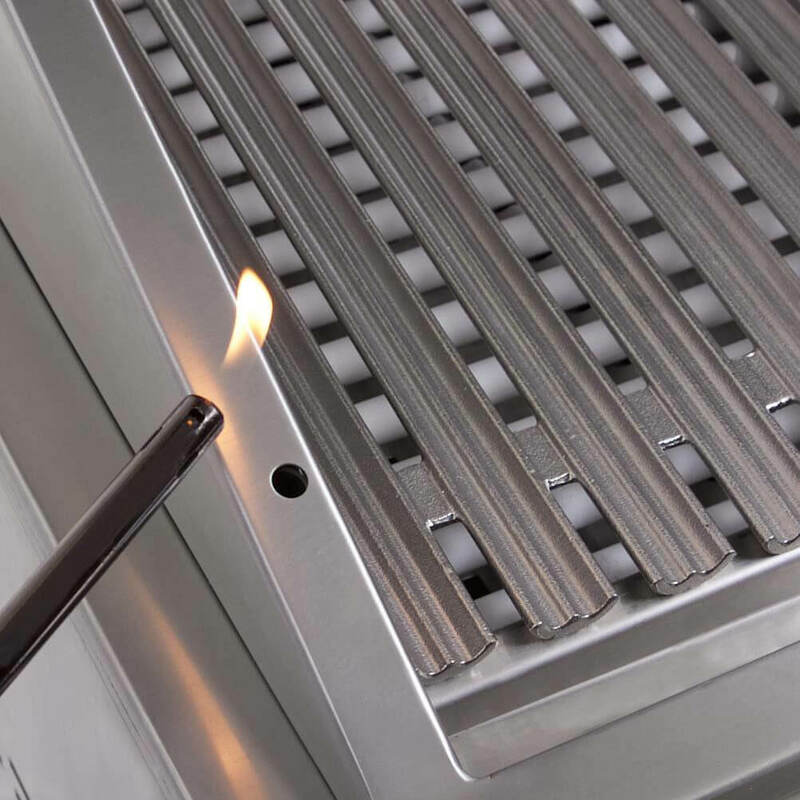 The patented Grease Management system effectively channels grease and oil away from the flame while grilling, which greatly reduces flare-ups. The 14,000 BTU infrared rear burner functions perfectly for slow-roasting, and the included rotisserie kit can accommodate up to 50 lbs! 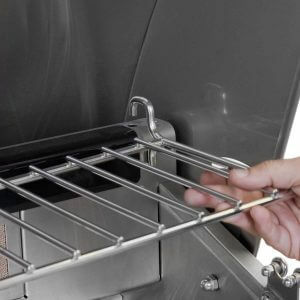 The smoker tray is welded closed so you can add your favorite wine or beer into the tray. A dedicated 3,500 BTU smoker burner allows the wood chips to slowly smolder for more layers of flavor. 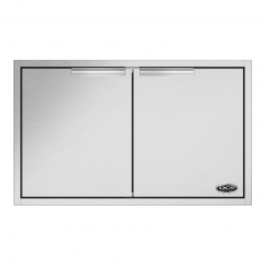 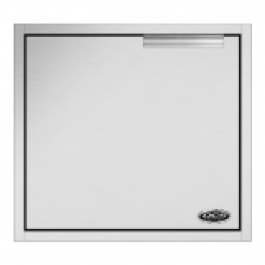 The removable warming rack features a spacious 241 square inch, stainless steel warming area. 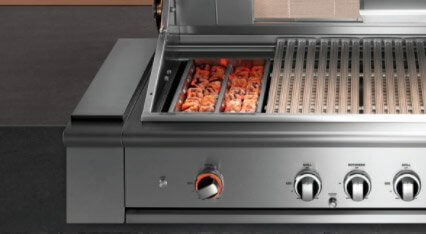 The push and turn 9-volt battery ignition operates with the ease of an indoor range, and the 40-watt halogen Smart Beam BBQ grill light adds visibility while you grill. 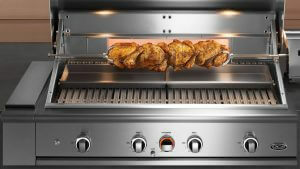 The temperature gauge allows you to control cooking temperatures. 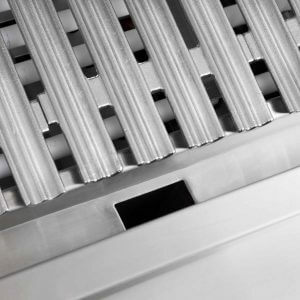 Every DCS grills is handcrafted and constructed entirely of heavy gauge, type 304 stainless steel. Brilliant 12 volt lighting safely illuminates what you’re cooking while emitting a welcome glow around the whole grill. Bezel lighting on dials glow white when the lights or grill are on, and orange when the gas and grill are working. 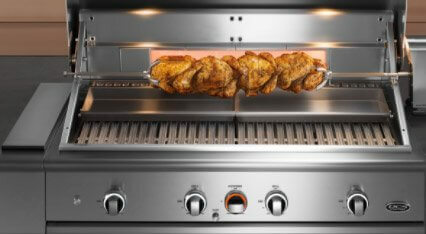 An infrared rotisserie burner provides controlled searing heat up to 18,000BTU. 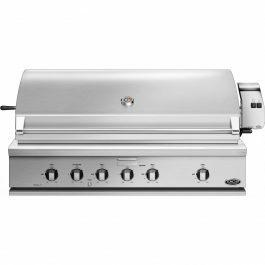 The heavy-duty motor easily turns a 50lb load, ideal when cooking for a big crowd. 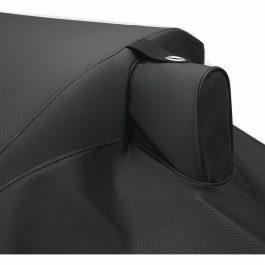 With plenty of space under the hood for extra large food items, the hood can be smoothly opened, using one hand, to a full 90° for better access and visibility when cooking. Enjoy smoky barbecue flavor with the ease of instant gas flame ignition. Grill directly on the cooking grate or add wood chips for more smoke. 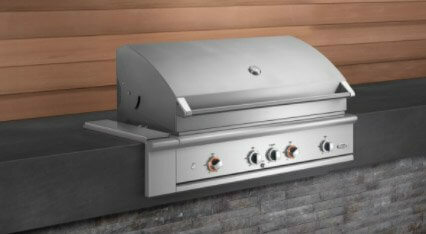 A W-shaped tray with adjustable vents helps the charcoal last longer. . The 6” storage accessory extends your grill to fit a 42” or 54” space. 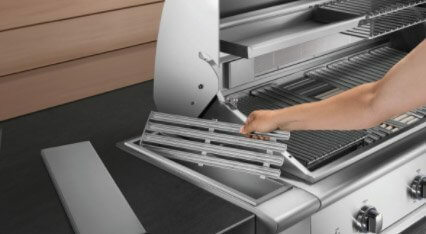 It bolts seamlessly onto either side of the grill to store racks, grates and tools. 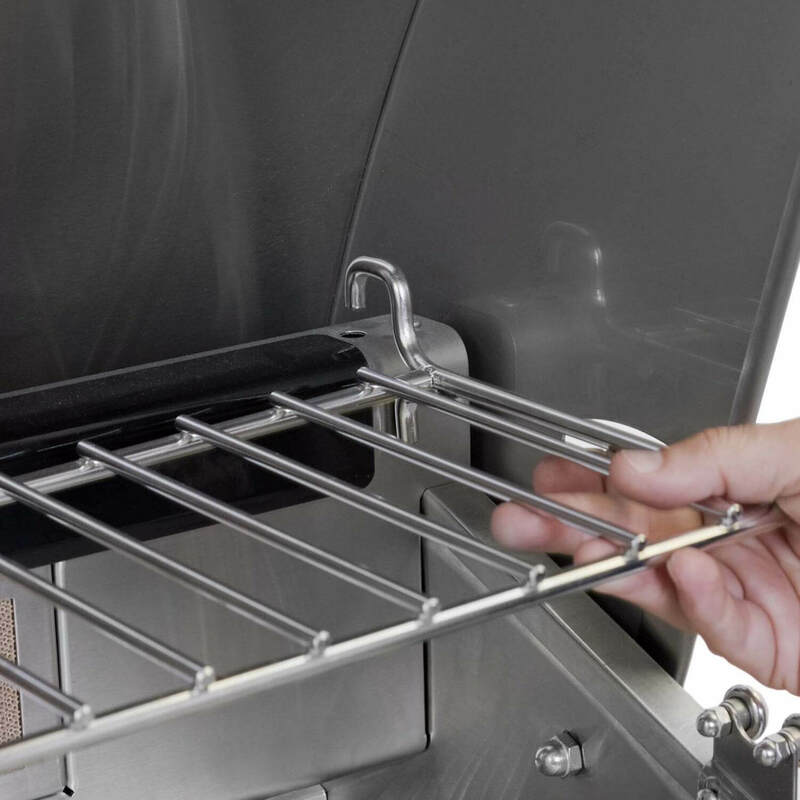 The rotisserie rod is conveniently stored under the handle.